A regional daily editor who retired at Christmas has paid tribute to the “news warriors” he has left behind at the newspaper. As previously reported on HTFP, Nigel Pickover, left, stepped down as editor-in-chief of the Eastern Daily Press at the end of 2016. 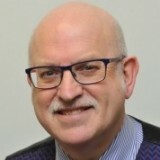 Nigel has now left the role, and has been succeeded by David Powles, who takes on the role of group editor, Norfolk covering both the EDP and Norwich Evening News. David will be assisted by Ian Clarke, who becomes editor, Norwich in addition to his role as head of news for Archant Norfolk. In a farewell piece for the EDP, Nigel said his 44-year career had been an “exciting, demanding, sometimes emotional, rollercoaster of a ride “. He wrote: “My journalists and I have won countless campaigns – but became doubly victorious in our wider careers because we didn’t buckle in the face of forces who often didn’t want our stories to be told. “My current team are news warriors in every sense of the word and have made me proud every day I’ve worked with them on the EDP and Norwich Evening News. “They epitomise the very best of regional newspaper and website journalism – as the various teams have done through the years, always reporting, taking pictures, and writing headlines with community at heart. “While I’m here…news teams are nothing without the support of commercial colleagues in Norfolk led by the indomitable Andy Orchard, distribution teams and printers – as well as the unique blend of support staff across many functions. Nigel, 61, started his career as a cub reporter on The Star, Sheffield and worked on the Daily Express, Sunday Express, Daily Mail as a freelance, the Yorkshire Evening Press and Ipswich Star before finishing his career at the EDP and Evening News. Nigel will now be known as the EDP’s ‘editor emeritus’ and will write two columns in 2017, Wild in Anglia and Travel.